Exercise and test. As we move forward, let’s commit to abstinence from any, any (double any is intentional) negative or self-limiting thoughts. Make this a visual exercise – if you for any reason have any any self-limiting, negative such as anger, hurt, past, whatever causes you stress, take a sticky note, index card or your choice of medium, write it plain, and paste it on your daily mirror. You know the one that is your first thing in the morning, the beat your face, that mirror. Do this for the next 10 days; keep your note paper with you so that you can jot down those feelings, emotions, justifications, and paste them on that mirror. You, I, daily will encounter ourselves. Now, for you to truly have active release by faith, please actively engage this exercise. Email me any questions, observations or concerns. Throughout these days, remember not to write the end of the story. It is not yours to do. We are His, the author and the finisher! Walking in Your light and accepting your promises. You love me just as I am and I too will learn to love me as You love me; Not attacking myself; Embracing Your teachings to forgive everyone and everything and most of all to forgive myself. I release guilt and I breathe out fear. I will not be afraid of these changes that are coming forth through the Holy Spirit. Your light shines brightly within me and from this day forward, I no longer need to seek attention from others or approval. I long for You; my Needs now are to live in Your grace and mercy and not crave anything from anyone or any situation any longer. I desire to fully emit the love that You are and that I become one with You in pure joy. But, most of all I want to trust. Your words soothe my soul ” Let not your heart be troubled; you believe in God, believe also in Me. Most assuredly, I say to you, he who believes in Me, the works that I do he will do also; and greater works than these he will do, because I go to My Father. And whatever you ask in My name, that I will do, that the Father may be glorified in the Son. If you ask anything in My name, I will do it. At that day you will know that I am in My Father, and you in Me, and I in you. And he who loves Me will be loved by My Father, and I will love him and manifest Myself to him.” – Thank You Lord for your words of comfort, protection and love from John 14. In Jesus name it is done. AMEN! P.S. The first graphic is from a minister partner and friend Rev Anthony! Friday the 13th – Has some one ever made a commitment to you and not kept it? Is that one of the triggers areas that you may have. As a result, of the broken commitment, it sometimes results in anger, distrust, hurt, loss of security, apathy, self-debasement and whatever you fill in the blank with. The book of James tells us to be quick to listen, slow to speak and slow to become angry. I will tell you, that just is not an easy task, just like taking our time for a prayer, meditation, devotions and even journaling. Sometimes, we place a time period – for example: ” I am going to designate 1 hour” and if we cannot do the hour, we trigger. Let me unpack this from a different perspective. Our minds have a way of jamming us up by playing old tapes that contain self-limiting talks and we listen. Today, you be the boss of you! When the mind starts that, tell yourself that it’s not in charge. It can’t run your life like a misbehaved child anymore. If you are unable to set apart a time for what you perceive is your devotional period, think on this as a beginning and you will find a practice for sitting quietly that works for you. When you are with a friend having coffee, the mind is focused on the friend, listening intently, paying close attention, being there. And that’s what sitting with God is like. So as you go through your day, take 5 or 10 minutes to sit with God. It can seem strange at first, because it seems like no-one/nothing is there. 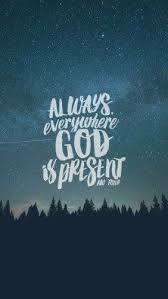 Remember God is always present with us every minute of our being, so the lines of communication are always open for connection. The time spent will change your perspective and your commitment to desire more and those that others may have made to you. Is saying Goodbye to our habits, ways and past difficult. I loved the song from Gladys Knight, but until I actually downloaded the lyrics – this statement: “For some unGodly reason we just won’t let it die” it took on another meaning for me as I pray it did for you. It is unGodly for us to hold on to things as God says in his word: Isaiah 43:18-19 – “Forget the former things; do not dwell on the past. See, I am doing a new thing! Now it springs up; do you not perceive it? I am making a way in the wilderness and streams in the wasteland.” This is a saving scripture for me as it lifted me our of depression and ALL that comes with it. This is not an easy job because as we examine our triggers, stressors, hurts, losses, pain, we really are asking either our Inner Child to grow up or telling the Inner Critic, it is not so! We have lived with both because our Inner Child is our innocence and our strength. The Inner Critic is a tyrant and a bully, bossing you around, making you feel bad, and telling you that you are guilty and not doing things right. Some of the Inner Tryant has surfaced because some of us feel that things are our fault and we just can’t let go. It’s not! It is far more complicated than that, but when we do the work and watch and pray, it will become simpler, we just have to want to do the work. That is the complication. On Dec 26, your Pastor Rev. 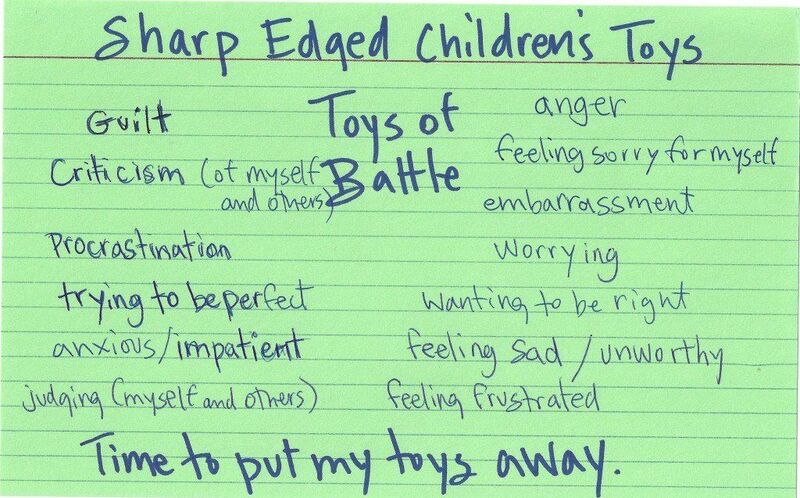 Daymond preached about being childlike. in his sermon entitled “Bringing Your Children to Jesus”. Today I ask you after this exercise to get quiet and notice within you is a child and this child is your innocence, this child is your strength and this child is the Christ that resides within you. “I am crucified with Christ; and it is no longer I who live, but it is Christ who lives in me.”—Galatians 2:20. 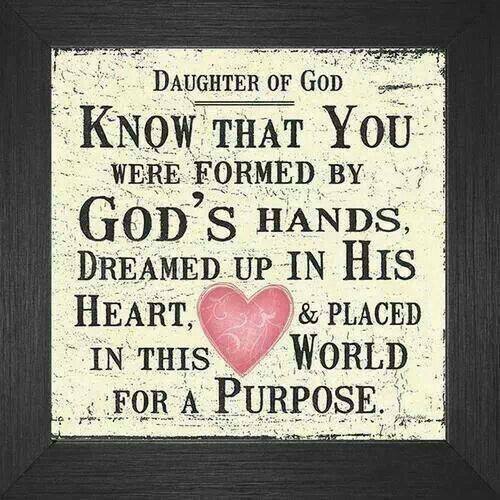 Remember, you are God’s daughter – Remember, remember, and praise God for the inner critic would have you believe otherwise and it just ain’t so! I send you love and I pray daily for us all! Try to make the time during your devotions and if you don’t have a devotional period, perhaps this is a time to begin. Our commitment in this 40 days is to shift from a certain way of being that we considered normal, [triggers] into a whole new way of being, leaning and depending on Jesus Christ as our guide. For the remainder of the 39 days, we are going to be paying very close attention to the thoughts that we are having, the words that we are using, the stories that we are telling. 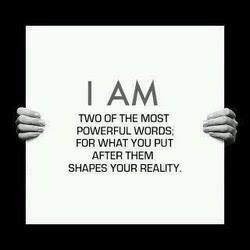 As we do this, we will start to notice the voice in your head, and there’s actually two voices. You’re going to be able to distinguish between the two of them. So I ask that you think about the beliefs that you hold about yourself – beliefs that have been unconsciously running the show. I suggest that you write them down and then take another piece of paper and remember that old things have passed away; you are a new creation in Christ and take the card that you were given and declare those beliefs – and here are few others: I am forgiving myself and others; I am NOW willing to let go of past beliefs about myself because those are my past and I take the next steps toward a better future. I begin every day with forgiveness, gratitude and live every day with love. I clear my grief with cleansing tears; My heart beats to the rhythm of love; This is one statement that for me is life changing: I easily let go of ALL disempowering beliefs. TRUST GOD for guidance and watch THINGS CHANGE. Good Morning Women of MPC and the world! 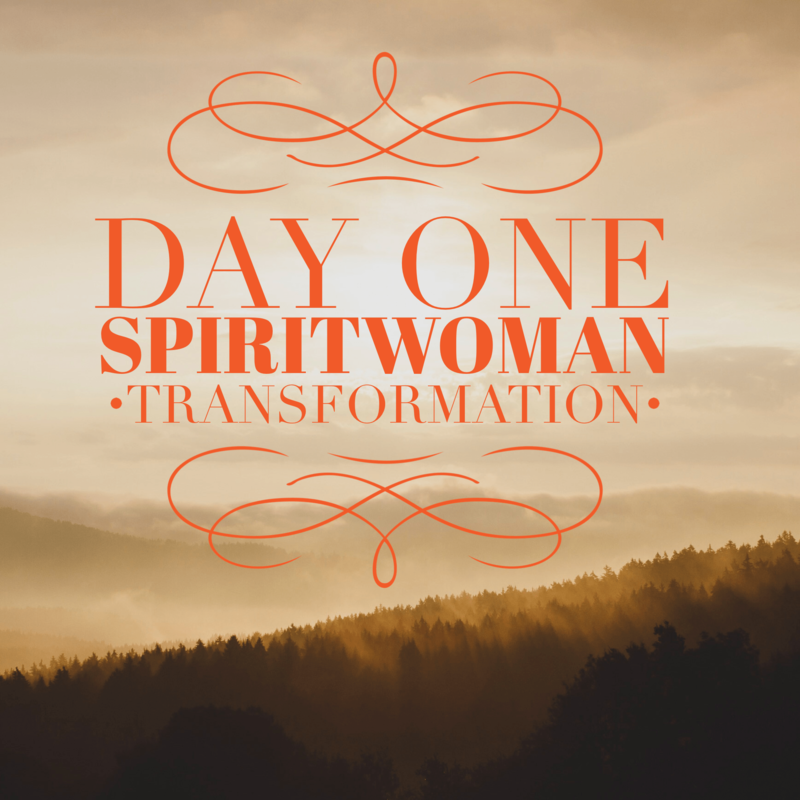 This is day one of our 40 day Spiritwoman transformation. Please know that the Light has come, this is your declaration of release! This journey is not about perfection, it is about transformation and reconciliation with yourself and Christ Jesus. I am excited for the changes that we may see within and those as well with our sisters. Remember, when one of your triggers comes at you, you will WHAT – Speak not, Hear not, See not. Love you – Rev Jacki. 1 Thessalonians 3:12-13 (NIV)12 May the Lord make your love increase and overflow for each other and for everyone else, just as ours does for you. 13 May he strengthen your hearts so that you will be blameless and holy in the presence of our God and Father when our Lord Jesus comes with all his holy ones. Instead of focusing on my love, I’ve been thinking about all the people who have demonstrated love to me. Clearly, everyday I have been blessed. Often the blessings that come to me are through others. Support from others in projects that I start is a big way people have shown their love. The individuals may not have thought about it as love. However, I’m taking it that way. In fact, some support that I’ve received hasn’t even been because people are trying to support me. The one thing staring us in the face, right now, is the participation of so many people in this Lenten Challenge. First, Gillian Stephens and Aqua Copeland so generously got on board to help make this 40 day journey happen. They reached out to their network and found others who were willing to get on board. These collaborators don’t even know me. Some may follow GospelFit on Twitter or Facebook, but probably haven’t connected it to me. What motivated them is their love of the Lord and belief that this concept is worthwhile. I have become the “everyone else” that the scripture references. I thank each and everyone one of them for their stepping out and demonstrating their faith in action. I am so grateful that the love of the Lord is so powerful and it blesses me all the time. Now that I’ve done my little Holy dance of praise for others, I really need to make sure that I am open and letting God strengthen my heart. It is easy to say and to think you’re doing the right thing. Now, is the time for me to do more self-reflection and make some appropriate adjustments. I’m good most of the time. I’m working on getting better all of the time. Having found a community of people who love the Lord and can connect it with all of their entire life, I know that I have support. I know that my love will act like Luke 6:38. I know that the love of the Lord will always exceed and multiply whatever love I can share. The Lord has demonstrated this with His death at the cross and resurrection. What a blessing! I had started walking with the desire to improve my fibromyalgia and changing my eating habits at Gods suggestion. I could not walk 5 minutes when I started. At the time of this story I was regularly wogging a mile in 13 – 15 minutes. Wogging is a combination of fast walking and jogging. I turned on my running app that would tell me when I had finished a mile and began the morning wog. With some praise music in my ears I talked about things with God. After awhile I decided to look at my app and see how much was left of my mile and saw it was blank. I began to worry and panic How would I know when a mile was up? How will I know when to stop? I heard a voice whisper trust. It was God and He was telling me to just keep going and He would tell me when I needed to stop. With a mixture of excitement and anxiousness at the lack of control I continued down the hill and around the curve where my 30 second jog started. I kept trying to remember how many times I had circled and wishing I knew when to stop. 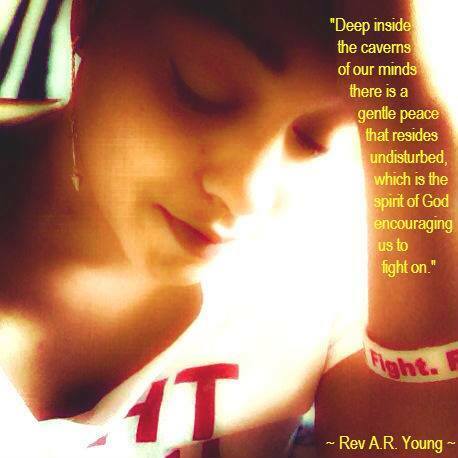 Each time my mind wandered to myself, God gently called my attention back to Him. After a few circles around the track my conversation changed. Another circle, breathing heavy, huffing and puffing. Coming up to my jog, hurting bad. “God I don’t think my legs with hold me up much longer, are You sure?” God pressed me on, “I am right beside you, I will not let you fall remember I promised you in my word.” At that statement I rounded the curve to begin my 30 second jog again and hesitated. “Come to me follow me, I will not let you fall. Just a little further.” God seemed to be right in my ear. I began forward slow and increased then into a full run down the hill around the other curve and landed on my knees in the grass. God met me there and told me to pull out my phone. I looked at the app and had run 2 miles. 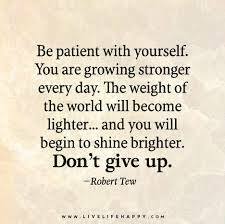 Not because of my strength or desire, but on Gods strength and my desire to please Him. I stood up with breath and no pain. I had been trusting God from day one, just as you at the beginning of the lent challenge to strength, bless and sustain me as I walked. He had done that bringing me from less than 5 minutes to a mile. I had added Bible study and prayer to self control concerning exercise and food. It caused my roots to grow deep in Christ and trust Him. At the beginning I would not have been able to trust Him, but He knew I had not gone my full potential. He knew how far I could go and wanted to show me. You have come so far don’t stop now! 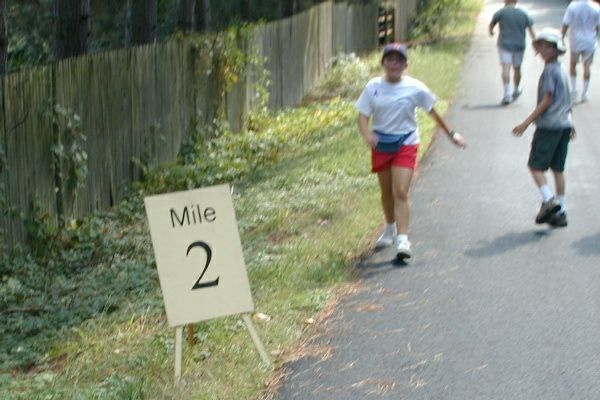 You are starting the Second mile! Self control is daunting. The fight is even more intense when coupled with physical or mental ailments such as Fibromyalgia, fatigue, depression and anxiety. You may face one of these or a combination and I want to tell you victory is sure. Victory is guaranteed If you just hold on and listen to Jesus voice He will guide you and not let you fall. When you feel yourself fighting urges to cave, wanting to eat some sweets or meat, hit your knees. He will take care of you, He will calm that. I have learned in my journey not to pray as the Pharisees for trial and trouble to be removed but rather that my desire to obey and please Jesus would increase. It has helped me in every area of my life, He is faithful. So faithful. After this happened at the track I started wogging as God lead me. It is amazing, I still track my runs for my accountability partner as I can but I do not look at the app to see when to stop. Since this happened my faith and trust has grown. My thankfulness has as well, knowing that He will not take me further than I can go and will not let me fall as long as I trust Him. I am so excited for each of you! I know at the end of this Lenten challenge your faith, trust and thankfulness with be greatly increased as well! Continue in Christ as you have already accepted Him and started strong in Him. God’s great blessings and love fill you. @GospelFit Lenten Challenge Day 24 – Time For Praise! 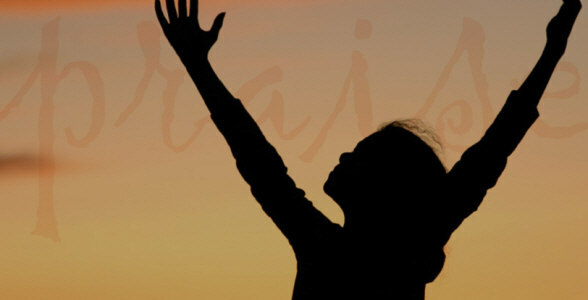 Nehemiah 8:6 (NIV) Ezra praised the Lord, the great God; and all the people lifted their hands and responded, “Amen! Amen!” Then they bowed down and worshiped the Lord with their faces to the ground. source: An Embassies Of Christ Blog. It is time to praise the Lord! No matter what is going on, praise the Lord. Sometimes, it seems as if things are not changing. It may feel as if time is stuck on an unpleasant moment. Know in those moments that praise will make it better. Part of the praise in the down times is a reminder that God has delivered us before. 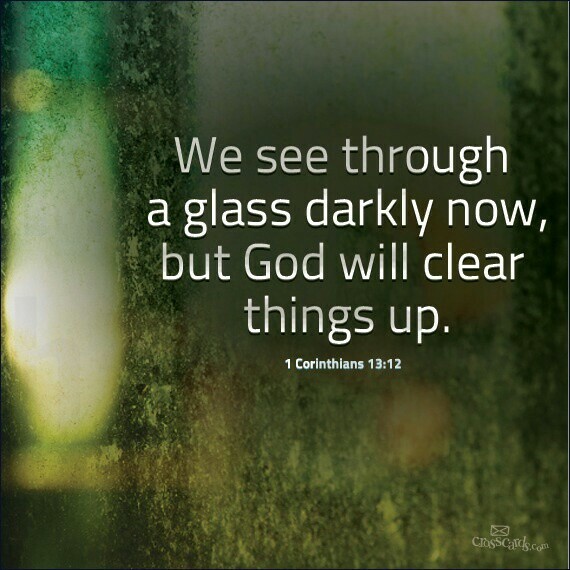 Things have been less than perfect before and the Lord has seen us through. There have been things that some of us have thought we wouldn’t survive, but we did. 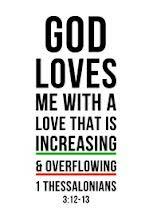 In fact, we have thrived all because of the love of God. This is a love that is always with us. When you know that God is so good, there are moments that you can’t keep it inside. The deep knowing of this is something that you will share in all times and use to encourage yourself when things look less than ideal. There are times when you may need to do your own little praise dance. These may be the best when you know things are good. When you know that you have been blessed and everything around you is going well. It could be a simple moment when you share with someone else that God is good or you could be praising Him. Recognizing, feeling and knowing that God’s love is always with you can be transformational. Romans 8:39 (NIV) neither height nor depth, nor anything else in all creation, will be able to separate us from the love of God that is in Christ Jesus our Lord. Our challenge during this Lenten season is to fully appreciate how much God loves us. The ultimate sacrifice for our salvation and for our lives connects us with God’s power in every moment. Truly a reason for praise. Amen! picture courtesy of God’s Daily Wisdom Ministries. In all of our efforts to lose weight, eat healthy and stay on track with our fitness goals we still tend to not do our best. Why is that? Sometimes there are emotional or psychological reasons people turn to food. And other times we have to realize as Oswald Chambers states “All our promises and resolutions end in denial because we have no power to accomplish them.” But when we turn this portion of our life over to God, as we should with all areas of our life, we are then comforted by these words “Don’t be afraid,” the prophet answered. 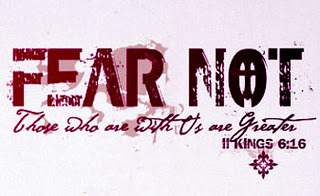 “Those who are with us are more than those who are with them.” -2 Kings 6:16. Daily, we are bombarded with thousands of options for snacks. Most of which would not be beneficial in working towards the goal you have in mind. Of all of the obstacles that threaten to play a role in sabotaging our efforts, simply adding THE one major factor will free you from the stress you face when you go into battle with your weight loss. That factor is God! He has told us in 1 Corinthians 10:13 “No temptation has seized you except what is common to man. And God is faithful; he will not let you be tempted beyond what you can bear. But when you are tempted, he will also provide a way out so that you can stand up under it.” I used this exact verse one day when I was extremely hungry and away from home. I was tempted by some of my favorites…ALL CANDY!!! Instead of falling prey to the temptation I left my location and bought a cup of pineapples. I believe that had I tried to go it alone I would have reasoned why its ok to have, succumb to my desires for the sweetness of whatever candy I had chosen then chastised myself for it later. But once the scripture came to mind I immediately left the store. There being one example of how God just being in the midst of your effort can catapult you from where you stand alone to His prosperous graces.